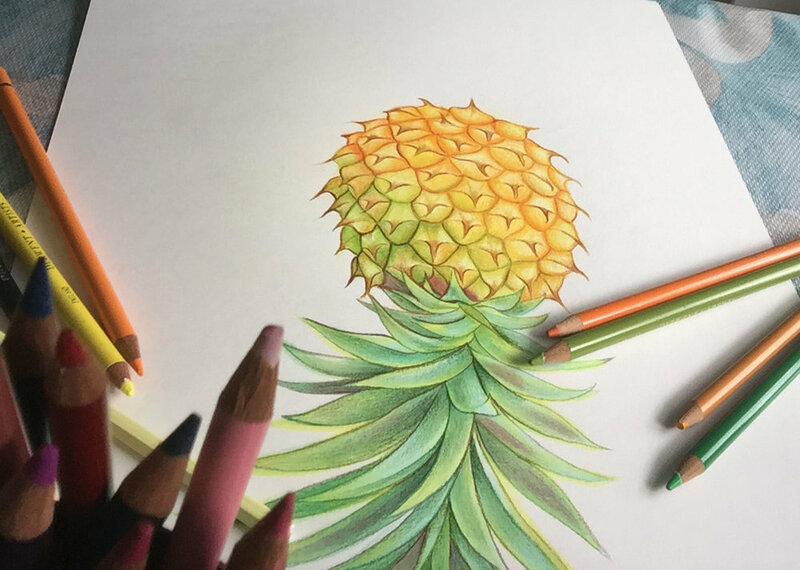 For the 52 week illustration challenge the topic was Pencil so I decided to use coloured pencils to draw the pineapple I had harvested. 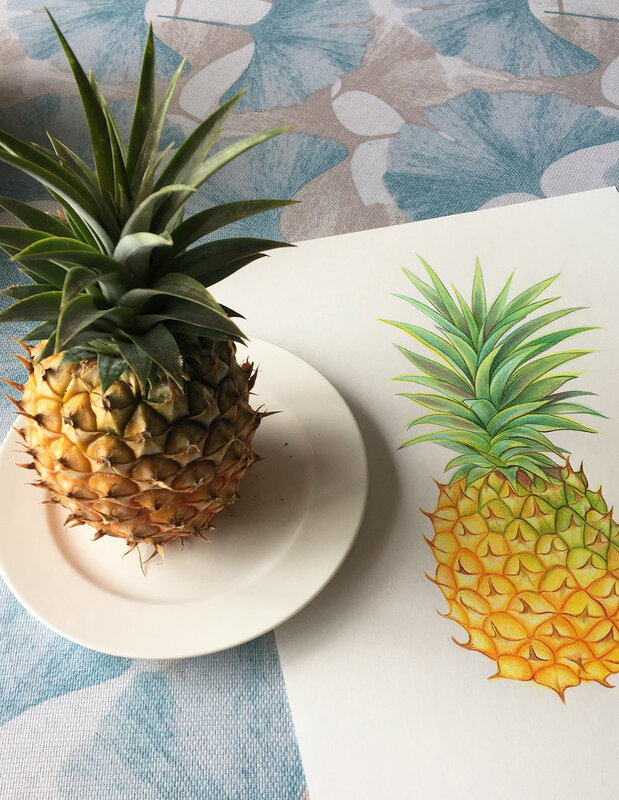 One of my pineapple plants in the garden had just produced a fruit over winter. They are pretty tasty I must say and we need to get in quick before the possums get to them.